Why I Loved It: I sort of hate myself for not having this higher — I freegin loved this album. It was well represented on my Favorite 100 Songs of the 80’s countdown earlier this year, with Mr. Telephone Man coming in at No. 44 and Cool It Now making it to No. 25. As I wrote in the capsule for the former, “before there was One Direction, N’Sync, Backstreet Boys and a million other boy band groups including late 80s phenomenon New Kids on the Block, there was New Edition.” Besides these both being fantastically innocent 80’s pop/R&B tunes everyone could get done to, their videos were equally memorable. From the crew ready to take on the telephone company because one of the kids can’t get a hold of his potentially trifling girlfriend in “Mr. Telephone Man” to them spitting rhymes at each (sort of a first on pop records at the time) in “Cool It Now”, the videos that accompanied their tunes were amongst the best of the 80s. Don’t sleep on “Lost In Love” either, which is one of the 80’s more underrated R&B slow jams. I regard New Edition as the consummate blueprint for what a boy band is supposed to sound like, and in my opinion not since the Jackson 5 has anyone been better. Commercial Success: After coming on the scene the year before, this self-titled effort was New Edition’s second studio album and their first to enjoy legitimate commercial success. It would go on to sell more than two million copies in the United States, rise to number-six on the Billboard Top 200 albums and spend five weeks at the top of the R&B/Hip Hop Albums chart. “Cool It Now” was their biggest single, reaching four on the Billboard Hot 100 and hitting number-one on Hot Black Singles chart in 1984. “Mr. Telephone Man” became their successful follow up single as it peaked at No. 12 on the Billboard Hot 100 and becoming the second Hot Black Singles number-one on the album. “Lost In Love” was the album’s signature ballad that reached six on the Hot Black Singles chart and No. 35 overall on the Billboard Hot 100. Despite basically no promotion “My Secret (Didja Getit Yet)” hit No. 27 on the Hot Black Singles. This is the second of two New Edition albums in this countdown — Heartbreak came in earlier at No. 89. Fun Facts: In 1982, the group signed with Maurice Starr, although after the group competed in Starr’s talent show he only wanted to sign Ralph Tresvant. Ralph apparently told Maurice it’s all of them or no one and Maurice changed his mind. According to this website the group each received $500 and a Betamax video player as a signing bonus. 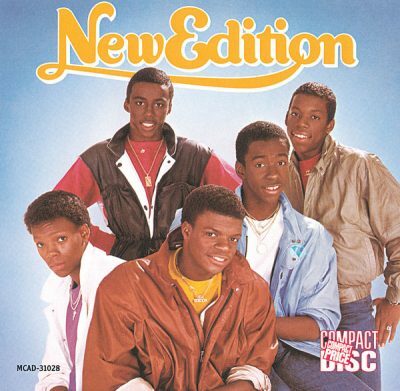 Starr didn’t stick around New Edition long — he was jettisoned during the making of this album after the group accused him of stealing their earnings off their debut album. Starr would go on to form New Kids on the Block, so indirectly New Edition is slightly responsible for that group ever getting created. ← Anyone Have $4 To Spare For A Bills Game?